Today the 3rd batch of Round 3, with 25 M JLRDA tokens, became available for sale. At the time of writing, there were still JLRDA tokens available. Finally – some would say – the IGNIS ICO hype calmed down a little. Finally, it is possible to attend the ICO and buy JLRDA without running a full node client, placing several buy-orders in advance, or having to figure out the most advantageous peer settings and transaction fees in order to get a chance to win the over-participated lottery for future IGNIS tokens on the Ardor Blockchain Platform. In round one 1 NXT = 4500 Sat. 1 JLRDA = 0.4 NXT = 1800 Sat. In round [three] 1 NXT = 2000 Sat. 1 JLRDA = 0.76 NXT = 1520 Sat. Let us take a look at the three tokens in play, and you can choose your path to success by choosing which one best suits your interests and needs. Nxt launched in 2013 as the first 100% Proof-of-Stake (PoS) blockchain ever and has run stable ever since. Over the years Nxt was optimized with built-in smart contracts that anyone can use “as is” or use them to build their decentralized applications with – without risking their investors’ money or the security of the blockchain, as no 3rd party code is added to the blockchain. Nxt’s smart transactions are rigorously tested in production and can be accessed using the Nxt API, which supports over 200 request types. 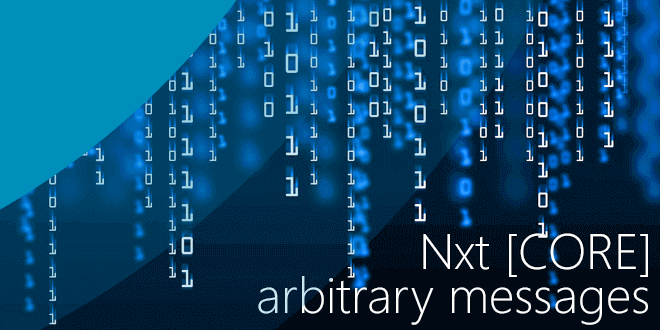 Nxt is coded in Java, the leading industry standard language for corporate applications. The Nxt platform is open source for its open and supportive community. Nxt is called the “Swiss army-knife” of crypto, undervalued in the markets, and technically ahead of the competition. With the new JPL license, owners of NXT are entitled to receive 10% of tokens from clones of Nxt. Ignis will be the first child chain on Ardor. 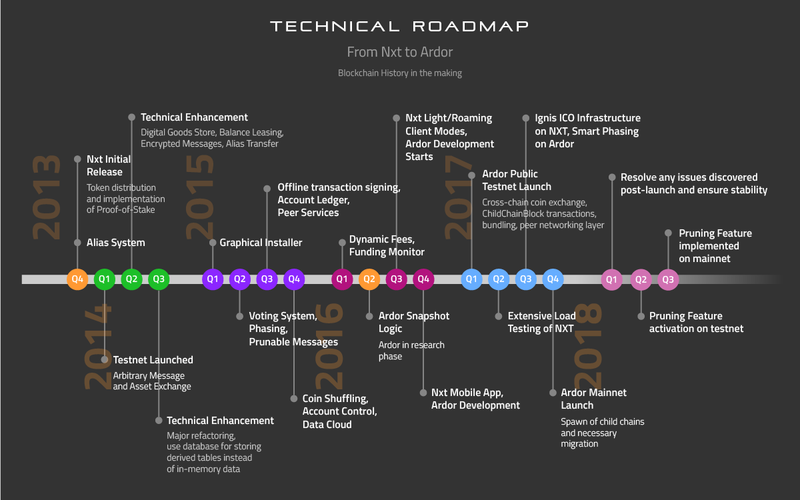 Ignis will have all of the features of Nxt, except for forging – it will be secured instead by Ardor’s main chain. Users of Ignis get UNRESTRICTED ACCESS to all existing and future Ardor child chain features. Do not expect unrestricted access from any other child chain in the ecosystem, as their creators may restrict those. Ignis will constantly be pruned (no blockchain bloat – means: globally scalable) and will feature cross-chain transactions, e.g., token and asset trading, and access to custom features on any other child chain. JLRDA, the non-transferable token sold in the ICO, represents the monetary unit and transactional token of Ignis, IGNIS, 1:1. JLRDA tokens will convert to IGNIS automatically at the Ardor Genesis Snapshot. 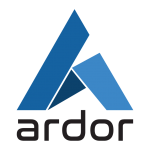 Ardor is Nxt 2.0 and is best described as a Blockchain-as-a-Service (BaaS) platform, currently running on testnet. 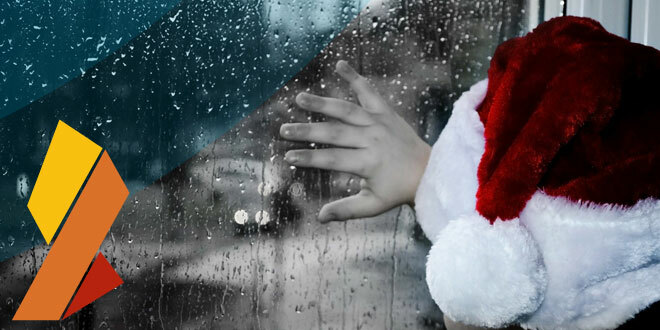 Ardor is the main chain that will secure, bundle and forge all transactions on the network of child chains. 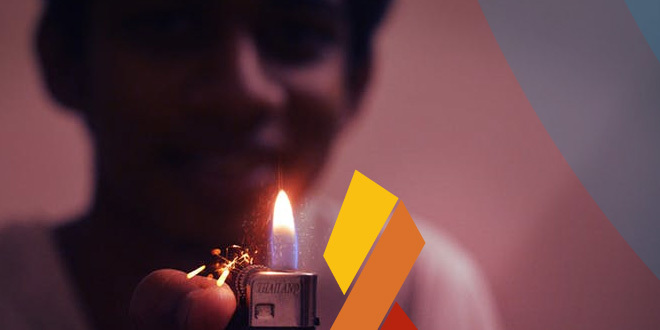 Ardor will make the features of Ignis available to other child chain creators, but restrictions can be placed if certain features are not desired, such as shuffling of tokens, the unrestricted decentralized marketplace or the unregulated asset exchange. Child chains will have their own operational token so users will not have to buy “gateway tokens” such as NXT, ARDR or ETH to use them. Child chains will be prunable and will not have to be bootstrapped, as they are secured by Ardor. Child chains can be spawned and customised with help from Jelurida, but the ability to create new chains will eventually be integrated into the software as a DIY module. For those that like account and ID regulations and restrictions – Ardor is the place to be. 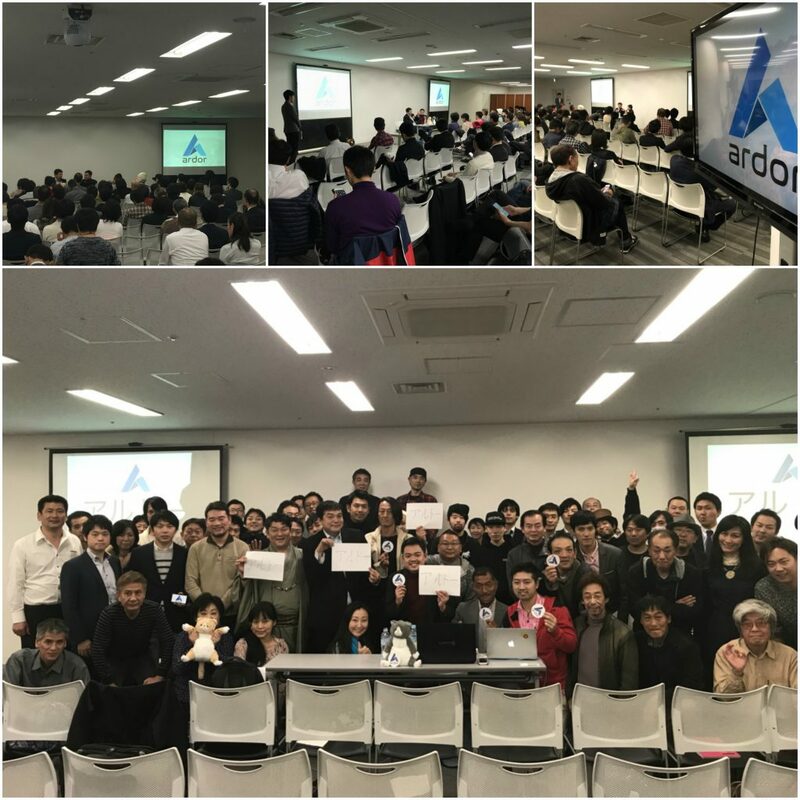 For those that like to forge all child chain fees – Ardor is the place to be. ICO’s are hot right now, and the choice is hard if you have money to invest. The choice is entirely up to you – supporting any chain supports Jelurida, the company that owns the IP for the above tokens. Right now, the JLRDA tokens are for sale on the Nxt blockchain and will be automatically swapped for IGNIS tokens on the Ignis child chain when Ardor and Ignis are launched together in Q4 2017. You need NXT to buy JLRDA. The most secure and the recommended way to buy JLRDA is from the IGNIS Token Sale link in the NRS Client, currently running V1.11.9. You can use Jelurida’s online Nxt node or download and run the client locally – as light (no blockchain download) or full node. You can also use Nxt OFFLINE to create cold storage accounts to buy IGNIS. JLRDA tokens cannot be transferred or traded until Ardor is launched – do not fall for scams. Stay tuned for more up-to-date coverage on the ICO. We will explain in more detail about Jelurida, Ignis, Ardor, and everything else that is pertinent to this ICO. We won’t give trading advice. Follow us on Twitter for breaking updates. And please help us grow as we continue to provide our readers with excellent and focused coverage on the ever growing blockchain space by rewarding us for our efforts – Donation address: NXT-TK9J-MEKH-MUP9-HFCH2. This article is for educational purposes only. It is advisable never to invest more than you can afford to lose. Today a press release from Nautiluscoin announces the launch of a full economic ecosystem, built on the Nxt blockchain. 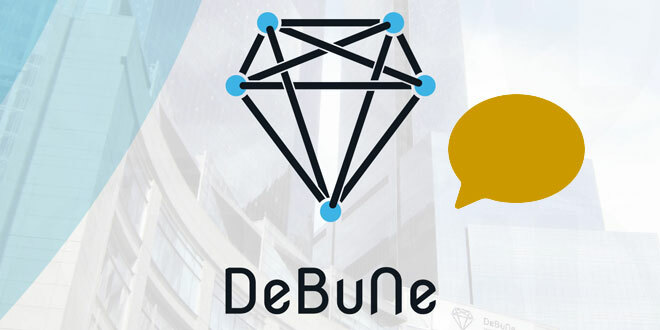 The launch event of the Drachmae Ecosystem will take place on September 26, 2015. Furthermore, Brian Kelly Capital (BKCM LLC) will be making a seed investment in a new entity that will deploy this ecosystem globally, first targeting developing micro-economies in Latin America and Africa. 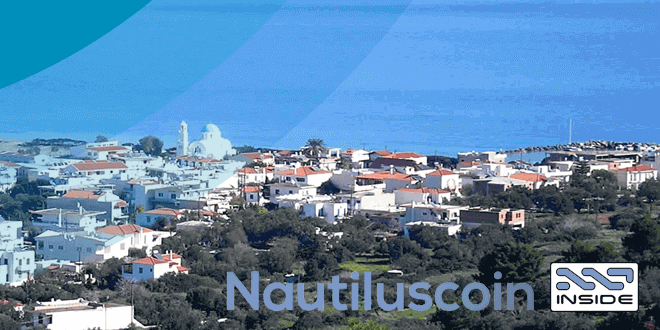 “We are pleased to announce that we have formally joined forces with the Drachmae Project and have developed a full economic ecosystem for the island of Agistri”, Nautiluscoin writes. “This ecosystem includes a fully functional mobile banking system, a B2B ecommerce platform, and a travel-booking site, all fueled by Nautiluscoin. This ecosystem will be rolled out on the Greek island of Agistri on September 26, 2015. We are providing the tools for the municipality and businesses of Agistri to investigate ways of generating new revenue via our blockchain-based ecosystem. Businesses will be able to save money via the B2B platform by connecting directly with suppliers, while at the same time offering discounts to travellers via the travel platform. Powered by Nautiluscoin, the ecosystem will offer efficiency and simplicity, providing tourists with a simple one-stop shop for all aspects of booking a holiday. We are focused on the end users of the currency – the businesses, citizens and visitors – this is our community. This proof of concept will illustrate how digital currencies and blockchain technology can benefit a community. To that end, the communtity in Agistri will be actively involved in the project and will share ownership and revenue from the Drachmae Project. The mission of the Nautiluscoin project is to use digital currency and blockchain technology to bring money into an economy. While digital currencies have been successful at providing a means to remove capital from an economy, few have successfully shown that adoption and use can drive economic growth – the Nautiluscoin project is about to change this. The Drachmae Ecosystem has been built using the NXT Platform and Nautiluscoin will soon be swapped onto the NXT monetary system. We have chosen NXT because of its superior technical capabilities, security and community support. The business orientation of the NXT community will be the foundation on which we build our ecosystem. 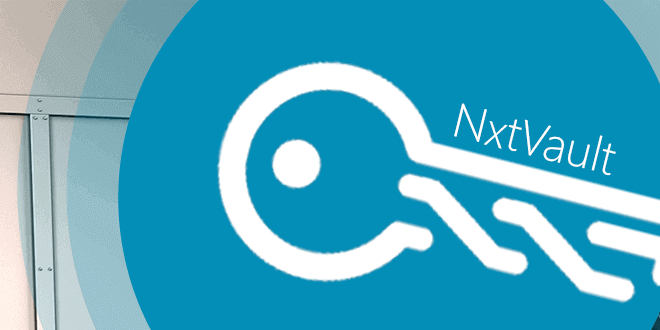 The NXT Foundation will be assisting with the coin swap that will commence on September 18, 2015. We will post the coin swap instructions on Bitcoin Talk on Wednesday, September 16, 2015 and the offical commencement will be announced via Nautilsucoin’s Twitter account. The NXT Foundation will also be assisting with the structure and the operation of the Nautiluscoin community, which includes the businesses and citizens of Agistri who wish to join the project. This project would not have been possible without the expertise and support of the NXT Foundation. The NXT team and Foundation have been integral to realizing this opportunity to utilise the power of blockchain technology. The September 26, 2015 launch of the Drachmae Ecosystem will include a community barbecue where the Nautiluscoin airdrop will formally take place. Each citizen that attends will be given €100worth of Nautiluscoin to spend at the barbecue and local businesses. As well, members of the press will be given €100 worth of Nautiluscoin. We will also be hosting a Hackathon event for developers to explore our blockchain ecosystem and create apps. We encourage anyone with an interest in blockchain technology to develop apps that can solve real world problems for the community. We will be hosting up to 40 developers to join in this first of its kind Hackathon in Greece. We are also extending an open invitation to companies and government organisations to visit and observe the event. The launch event will be capped off with a televised fashion show featuring professional models wearing GetNauti gear. We have hired a camera crew to be on island for the launch event to capture this historic moment. This fashion show is a pre-shooting for the Athena Model TV Show that will be hosted on Agistri in 2016. We are excited to bring this revolutionary technology to Agistri and are grateful for the foresight of the Mayor, local businesses and citizens. This will be the first time an entire economic ecosystem has been experimented and deployed and we are looking forward to this historic event. The ecosystem that will be deployed is both scalable and efficient, making it suitable for multiple use cases. In parallel with the Drachmae launch on Agistri, Brian Kelly Capital (BKCM LLC) will be making a seed investment in a new entity that will deploy this ecosystem globally. The new entity will license and implement new blockchain based economic ecosystems similar to the Drachmae Project. 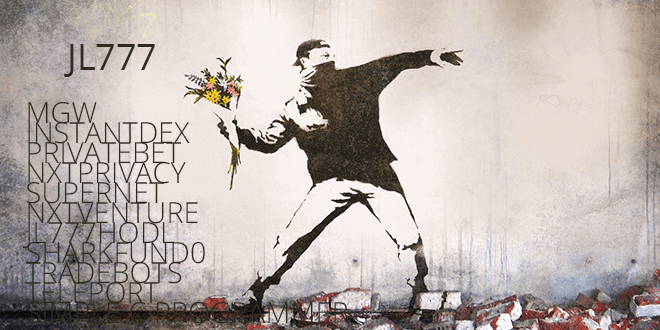 Currently, the entity anticipates targeting developing micro-economies in Latin America and Africa. James has been in deep coding mode, resulting in a total reconstruction of the SuperNET CORE, improvement of the distributed Multigateway (MGW), and some new SuperNET tech. Meanwhile, the rest of the decentralised dev teams/coins and services in SuperNET has been busy as well. This newsletter will give you an update on James’ work, the CORE coins and services. As you can see, SuperNET progress hasn’t slowed down at all! Dive in 🙂 SuperNET Slack can be joined by sending a request to: info@supernet.org. The 2nd gen PoW-coin Syscoin has been added to the SuperNET CORE. ‘Syscoin devs are working on exposing its features via user friendly interfaces. ‘The big release for that is 1.6 (http://syscoin.org/roadmap) which introduces a new wallet that brings everything front and center. Certificates, data-store/aliases are [already] on the blockchain and working, however they don’t have a UI in the wallet yet so it is all command-based (for now). When we roll out our V2 wallet which will be much easier to build upon than QT, we will begin rolling out each feature in the wallet through continued development’, writes Sebastien. Syscoin brings a talented and established team of developers to the SuperNET table. One of the interesting features will be their decentralised market – the Blockmarket. Its Beta GitHub repository is public, and you can set up your own Blockmarket on their testnet: https://github.com/syscoin/blockmarket. Wallet for BTC, VRC, Fibre, Opal, Bitstar, etc. Created by Opal, bassguitarman. ‘I originally estimated about 6 months to complete my tech, but the extra time needed to accommodate feedback from what has become a much bigger community has made this longer. However I doubt it will be double, as there are many who are now helping me directly. Anyway, this is pretty tricky code and I don’t want to do a bitshares and push something out before it should be. I am well aware of the ticking clock and I am focused on getting InstantDEX out, but need MGW stable and fast first. My recent release of the fault tolerant comms relays should solve all the network connectivity and reliability issues. The modular agents’ system solves the exponential increase in complexity of the overall project. These are things I didn’t foresee and reliable decentralized networking is not as easy as it sounds. Also the bitcoin protocol is, …., there are just no words. I just want to find the unspent balance for multisig address but to do that I have to basically reimplement most of the bitcoin code. I pushed ramchains that allows rewiding to any block and it will recreate the exact blockchain state as of that block. I don’t know of anything else that lets you set a block number in the past and then calculate the rich list (and all available unspents). Not really a must have use case, but this ability just came for free as a result of my now having totally mastered the bitcoin blockchain. SuperNET is now a BTCD plugin, or an “agent”. James writes: ‘I run the host code inside BTCD, and SuperNET plugs into it. Then other software agents can plug into SuperNET. Each agent can broadcast locally, or globally. ‘With 100 lines of code, you can make a new agent, publish its availability to the relays, and start selling subscriptions or whatever. I have it so each agent has three sets of methods: public, normal, authenticated – so you can have methods that can be accessed by anyone, or just on local machine, or needing authentication. What’s in it for the end-user? It will be possible to make a drag and drop GUI where you can connect up the different modules and end up with a fully customized working crypto solution. Want anon? Add an anon agent. Want a blockchain? Add the blockchain agent. Want to support assets, add the asset agent. Want atomic cross chain trades? Add that agent. What this also means is that we get dynamically loadable command sets for non-built in agents, you can automatically make a websockets interface that has a text debug HTML page too. Lchain is new tech, implemented as several agents. ‘The legacy MGW is running code that is 1 year old! That is very old code and there really only has been one bug. The problem with MGW uptime has been that all three [servers] had to be in 100% sync at all times. Now this is no longer the case, yet we still get the same redundancy, actually more. Lchain addresses the problem of slow startup and peer validation. The Lchain is a data provider to the MGW servers. The MGW function only needs access to the Lchain servers + up to date blockchain locally, then it queries the Lchain, verifies locally and signs, gets consensus, submits. So you can have 10 computers with Lchain to make sure 3+ are available 100% of the time. Now an Lchain server can go offline, but MGW is still running. If all the Lchains are in agreement, that is good enough for MGW to verify locally, so there are actually additional safety checks with this separation of function. Coin confirmation time: + 10 seconds. In other news, James also writes: ‘I got a test release out for BTC realtime MGW. ‘ It’s happening. Eth writes that the website will be up shortly, but that there are too many variables in play to give an accurate answer about a launch for SuperNET’s distributed real-time trading engine, itself: ‘ “Tuesday” is the best you will get for now, but API is looking great. Also, I have been lucky enough to fiddle with the SkyNET API, I can just say that I am impressed.’ SkyNET will have an important role in InstantDEX. James gives a few more insights into how InstantDEX will work in this bitcointalk post. Essentially, InstantDEX’s ‘punch-through’ trading will mean that it is possible to conduct a trade that spans several exchanges. InstantDEX knows about MGW coin assets being 1:1 to native crypto, and it uses this to calculate virtual prices across all exchanges. Once the communication with InstantDEX is set up, other exchanges’ liquidity are added to the InstantDEX orderbook. Perhaps you want to buy OPAL in return for NXT. Poloniex has the best OPAL <> BTC rate, and InstantDEX has the best NXT <> BTC rate. Putting the two together in the background enables users of InstantDEX to gain the best spreads across exchanges. The purpose of crypto777 is to fully decentralize realtime backed and pegged crypto. James writes: ‘It will have a built-in way to generate fees, via blockchain. I am working with Consensus Research who will be doing the whitepaper and modeling. These fees will be assetized and I will be issuing an asset within a few weeks. Preference will be given to purchases made via BTCD but I need to finish InstantDEX first as I will use it to create the orderbooks for the sales directly in BTCD. ‘Now the actual backed and pegged cryptos are “hard” assets, so I can’t give out dividends in those. The asset is based on the sum of all the fees from all the backed and pegged assets that will be created. There will be a price ladder so early birds get a discount, but as the whitepaper is released and the tech matures, the price will be raised at the milestones. “Regaining control of our money” > Is #crypto777 the missing link? http://supernet.org/blog. The main objective is to create a communication point where information will flow in a friendly, mostly continuous way to keep all the users, community members, investors and everyone else interested about SuperNET up to date regarding advancements in development. The blog will be limited to allow posts from the core team only, but of course if you or whoever else feel that it could be reworded to improve comprehension or in any other aspect, everyone is really welcome to do so and distribute it. The Jay Client and Framework was released about a month ago. Further details (and videos) can be found in SuperNET Newsletter #16. Until recently there has only been Jay Wallet ( http://jnxt.org/wallet) to use to test Jay, and Jay can do so much more than this. Jones has now released the AE side of JayEX, allowing for ‘Nxt AE trading with the security of the localhost NRS client, the inspiration of SecureAE, and the chart ideas and layout idea from Poloniex. I’d call it officially beta now’, Jones writes. If you own an Android phone you might be interested in topping up security and ease of use with NxtVault, a Nxt passphrase app, developed by mr_e, on top of the Jay Framework. NxtVault integrates securely with Jay NRS (with alias login and QR tx signing) and JayEX lite AE. NeoDICE has finally been released on Nxt mainnet. You can try it out in a standard NRS client. ‘It’s still in beta, hence the bankroll is set low, to 20K NXT.’, writes *hash*. 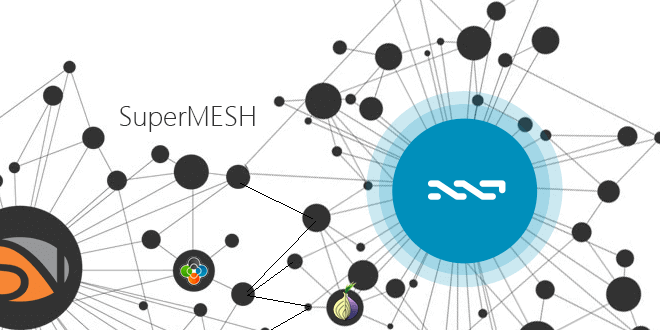 Note that a transaction fee of 1 NXT goes to the network on every bet or chip swap. Also James chips in: ‘I think during the testing period the withdraw times are intentionally set to be very long (720 blocks). But we can just put a buywall for fast cashout, so that people who want to convert to NXT right away can just do it from AE. ‘The software developer is working according to schedule to finish the playmoney version by the end of May’, writes 5000Bitcoins. It is estimated that the real version will be live and integrated with SN 1-2 months after that. No permanent storage of your NXT wallet passphrase at any point. FreeMarket now remembers your language settings between sessions. Bug fixes for Relisting feature. The new version of FreeMarket is available here: http://nxtfreemarket.com. Knuckles will be updating us on the latest advances in the FreeMarket NXT plugin this Saturday on SuperNET Radio. ‘We will be carrying out deeper integration of First Swiss card in Coinomat. The whole process will be at Coinomat, including card ordering, and card loading will be instant. We are integrating the bank API now, the bank had doubts over this, but now all is settled. ‘Guys, if you’re in Europe I’d like to remind you that we offer very cheap crypto buying and selling options by SEPA. It’s protected against volatility. USD is credited first and then you buy coins. Coins are sold at 0% to current open market rates.’, writes Coinomat. Nexern writes, ‘You can query data and indicators now. The API is growing hourly atm and the first 100 indicator specs are ready tonight. The now designed API is input data agnostic, [which] means it acts also as a very extensive financial math/analytics gateways where users can query the whole API functions with their own time series (via json POST). This adds an additional revenue stream for users who prefer to analyse their own data. Another good thing is that I have also finished the missing math bindings and intend to look into a R binding next weekend. This would add additional, valuable finance logic like risk management, portfolio handling, quants and many other very usable stuff to the framework but this is optional and not a must have at current stage, completing the actual API modules is paramount now. http://api.finhive.com/v1.0/run.cgi?section=crypto&run=api, it includes also naming, descriptions, signaling interpretation and more, shared by the TA encyclopedia ( “sec_knowledge”:  ) later. Moreover, ‘last regression tests on the custom TA lib [are] successfully done. All +300 indicators returning correct and cross-checked result sets. The lib (optimized, plain C) is pretty fast and lean (185kb, nix shared with ~8k loc.) and presents an important skynet asset (simply because it is the most actual and complete TA lib on the market from my pov) besides the data collected so far. The server side LuaJIT lib binding (serving the JSON API) is also working as expected and reaches ~80% of native C speed. This speed was/is crucial and not pedantic because the API supports pre-calculated, and more important, dynamic (on request) data creation. Well, nuff said about the tech for a while’. SNRN is looking for a short article writer to write reviews on the shows. Compensation paid on a per article basis. If you operate a site and would like a banner put on supernetradio.com, contact lootz. SuperNET Radio is now broadcasting its stream through all of icecast and shoutcast communities. This means that all shows are now broadcasted to a lot more people. SNRN (asset ID 3501237268087927815) will be released monthly in small portions. ‘Revenue from ads/sponsors will go to holders as dividends. Also any 1 company, technology, venture, who holds 20% will have free advertising on the station 24/7 played 12 times a day and in our shows that get many replays by multiple communities, as I keep inserting SuperNET Radio into different communities. We have 27 websites broadcasting atm, and will continue to grow’, writes lootz. So if you like what SNRN does, instead of a donation, just get some SNRN, maybe one day SNRN can say thank you with dividends. BitcoinDark development has been ongoing behind the scenes and we are now approaching a time when that development will begin to bear fruit. One of the new developments includes a new HTML-local-host Wallet GUI to replace the old QT version. The plan is to first release a basic port, in terms of features, of the original QT wallet and then add additional features/enhancements in subsequent versions. The front-end is almost finished and work on the back-end of the wallet will begin soon. I’d like to announce that with the donation funds the community has raised so far we have been able to hire Onsightit, VRC’s GUI and Cross-Platform Developer, to help primarily with the back-end of the new BTCD HTML-localhost Wallet GUI. Getting talented developers on board is important to meeting our goals so please keep those donations coming! The aim of this asset is to increase liquidity for BTCD and place gentle upward pressure on it. Coinomat has done great work with the MMNXT asset. BTCD has much lower volumes and thinner order books, so we’re taking a mutual fund as well as market-maker approach. Hopefully using revenues from other assets will inject some liquidity and give us something to work with. Coinomat has very generously donated 100,000 coinomat assets to MMBTCD. Due to migration to new SuperNET servers, the Asset ID for the active mgwBTCD asset has changed. You can send your old mgwBTCD assets (ID 11060861818140490423) to the special redeem account NXT-6YQW-HHCG-NATW-DCHJ3. Soon you will receive the same amount of the new superBTCD (asset ID 6918149200730574743). A bug that caused the block chain to get “stuck” and create synchronization problems was discovered in the original open source code base that was used to create Bitstar Coin. It has now been fixed. Bitstar has now moved from 35% a year stake reward to 25%, writes BitstarDev. danosphere writes, ‘We’re working on exposing features via user friendly interfaces. The big release for that is 1.6 (http://syscoin.org/roadmap) which introduces a whole new wallet that brings everything front and center. The Limited Edition Fibre Silver Coins Presale has now started. Only 150 will be available. FibreLock 2.0 will soon be submitted for peer review! Once all the devs taking part have provided their feedback and the changes have been made, we will release the open source code for FibreLock 2.0. After the code has been open source for a while and audited by the community, we will release Fibre and Bitcoin wallets including the new and improved FibreLock. The source code will be available so any coin will be able to implement FibreLock. ozboom writes, ‘ZeroTrust (ZT) is being audited for release (decentralized and trustless transaction mixer, never been done before), FibreOS is coming with its own device (Ubuntu derived, super hardened Linux distro for safely keeping your wallet on a USB stick) and holds incredible promise imho’. Sigwo will be the official US distributor of the FibreOS Device. All SuperNET Core coins will be available on this device, Blitz wallet will also be included. Killakem, Fibrecoin founder, has taken the lead on Blitz (formerly known as Ocupy). Blitz and Fibre are separate projects. Nxt’s long-awaited Monetary System – an innovative platform that allows the fast and straightforward creation of completely new cryptocurrencies on top of Nxt – will go live on 10 January 2015. 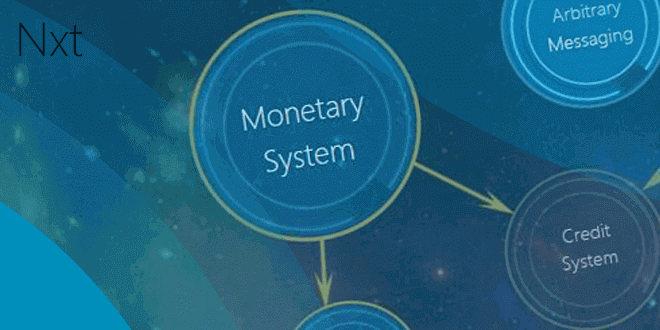 The Monetary System (MS) allows users to launch new currencies, securing them with the Nxt blockchain using the second-generation cryptocurrency’s established network, rather than requiring that developers create a coin from scratch and bootstrap it with its own network. The ultimate value of the coin is determined by the market, depending on adoption and demand, and by the parameters set by the issuer. However, coins may also be created by ‘locking’ a certain amount of NXT, thereby giving a floor value to the issued currency. The idea is similar to the sidechains development taking place in Bitcoin – with the difference that the additional functionality is all contained within the Nxt platform, without the need for an external two-way peg. MS brings a high degree of speed and convenience to a process that can otherwise be lengthy and complex – and inaccessible to most users. MS is tailored to real-world application as well as the cryptocurrency community, and aims to make it as simple as possible for individuals and businesses to launch a new coin. The range of potential use cases includes loyalty points, crowdfunding efforts and fiat- or commodity-backed tokens, as well as new altcoins. The Monetary System allows the creation and launch of coins and tokens in as little as two minutes. Coin features are selected from a list to give the currency the required properties, making the process not only extremely fast but remarkably flexible. Exchangeable: Currencies can be exchanged all within the Nxt platform or on traditional exchanges, each identified by unique name and ticker symbols (e.g. BTC, USD). Controllable: Currencies may optionally only be traded with the issuing account (e.g. backed tokens such as gift vouchers). Reserveable: Currency units are released and distributed if funding requirements are met within the given timescale, if not funds are automatically returned (e.g. crowdfunding). Claimable: Reserveable units can later be exchanged at an agreed rate. Mintable: Currencies can be mined by proof-of-work algorithms (SHA-256, SHA-3, Scrypt and keccak), whilst still being secured by Nxt’s proof-of-stake algorithm. Shuffleable: Coins can be shuffled when this feature is implemented (anonymity). The Monetary System improves the distribution of wealth across the Nxt ecosystem, each currency unit possessing its own financial value. Importing: First generation cryptocurrencies can transition into an MS currency, allowing them to take advantage of the many powerful features of the Nxt platform and ecosystem – including the Asset Exchange, Marketplace, encrypted messaging and Alias registration, as well as a fast-growing list of third-party applications and services. Exporting: In the future a whole economy based on a MS currency could be transferred out of the Nxt system to another platform should the necessity arise. For more information and to try for yourself please visit www.nxt.org. You can republish this article for free. A full size featured image can be downloaded here. Image by crimi, http://peerexplorer.com. To join the Nxt Community: nxtforum.org. Nxt as platform. NXT as tokens of power, not coins. That’s what BCNext imagined when he created the Nxt genesis block back in November 2013, and that’s what he proposed the Nxt Community should follow up, in his plans 1-3. Because in Nxtville: The community decides. And the issue has led to heated discussions from the beginning. 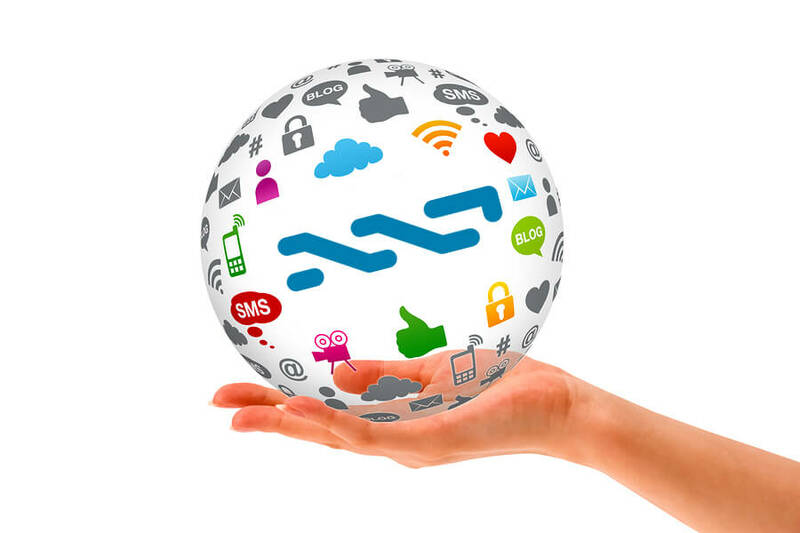 Nxt was released as a crypto currency, and many investors wanted it to stay just that. Like any other crypto 1.0 investment, but with killer features to take it to the moon. NXTs r not coins, at least the creator of Nxt didn’t want them to be coins. They r tokens that grant privileges to support Nxt. Deflation is not much better than inflation, “real” coins should be created on top of Nxt and be issued in quantities that keep their value constant. BCNext understands that this is very arguable, the community should decide if it wants to follow the path showed by him or stick to Bitcoin legacy with unchangeable supply of coins in hope to become rich by doing nothing. But… “real coins in quantities that keep their value constant”? Oh my. What if a NxtCoin really isn’t a coin but a share in a platform which is capable of powering not just other coins, money transactions, smart contracts, asset exchange and now the latest Nxt release: A p2p Marketplace – what if NXTs are real tokens of power, about to renew, decentralize and revolutionize just about everything – even the internet itself? Wah! Not a coin? But then what about the “mining”/forging part, you might ask, shaky hand hitting the iPad to have another quick look at coinmarketcap, to make sure that Nxt is still there. Well, if you’ve been complaining about the forging algo, that it’s paying you too little, and that the fees are too low to generate real profit, or that the whales are getting more because they own more Nxt…, read on. Selfish miners (those who mine only to earn fees) should be “removed” from the system, they r not interested in success of Nxt and only want to cash-out. (…) True reward for supporting Nxt network comes from services that use Nxt. Someone owns a currency exchange and mine blocks to keep his business running. Another one owns a shop and mine blocks to keep his business running. The 3rd person owns a software company that develops programs for Nxt-based services and mine blocks to keep his business running. Gulp. Don’t be in it for the “mining” fees. Forge to support the network. Fees will be even lower when the price of Nxt goes higher. The community has decided that. The demand is there. We want our services to use Nxt, and the world too. You can buy yourself a good read in our NXTER STORE. You can even buy a house with NXT. But consider the above quote again. It may be time to wrap your head around Nxt. A new series about 3rd party developers and Nxt businesses will start on nxter.org tomorrow. It’s called: ON TOP OF NXT.